Raise and support the vehicle. Raise the vehicle just enough to allow the rear tire and wheel assemblies to be rotated. Refer to Lifting and Jacking the Vehicle. Ensure there is no brake drag by rotating the tire and wheel assemblies. If drag exists, verify the park brake apply levers are fully against the stops on the rear brake calipers. Attempt to rotate the rear tire and wheel assemblies. There should be no rotation forward or rearward. Verify the park brake is released by rotating the rear tire and wheel assemblies. The tire and wheel assemblies should rotate freely and exhibit no drag. 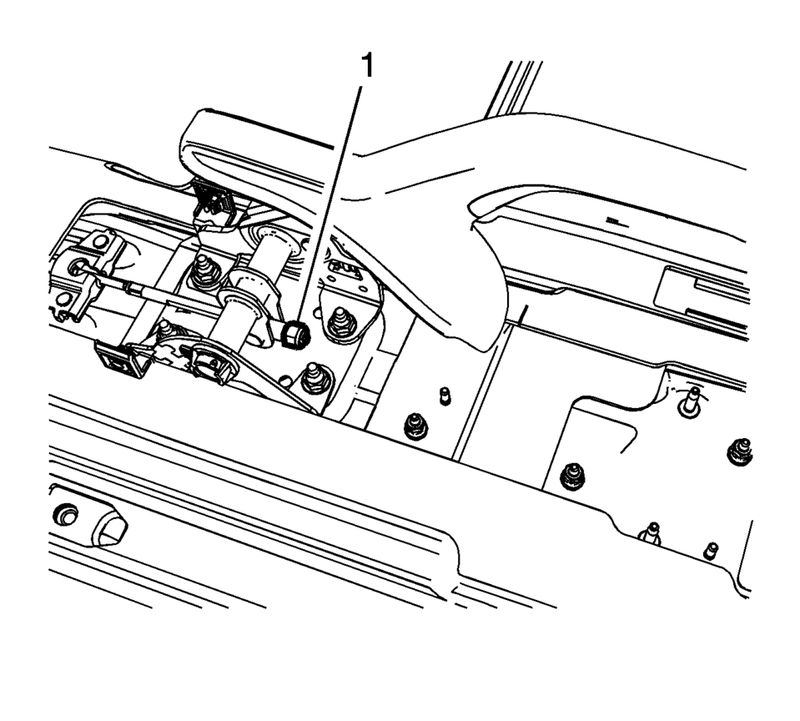 If the tire and wheel assemblies do not rotate freely, repeat the park brake cable adjustment procedure. One of the tire and wheel assemblies should not rotate forward or rearward. The other tire and wheel assembly should not rotate forward or rearward, or should require substantial effort to rotate. Raise the park brake lever one additional detent position and attempt to rotate the rear tire and wheel assemblies. Verify that the left and right tire and wheel assemblies cannot be rotated.